Songs of Eretz Poetry Review is pleased to present “MRI” by Sara Backer. Backer is the author of two chapbooks, “Bicycle Lotus”, which won the Turtle Island Poetry Award, and “Scavenger Hunt” coming soon from Dancing Girl Press. She's currently pursuing an MFA at Vermont College of Fine Arts. Her online writing is posted on her website, www.sarabacker.com/publications. I am the log the river shakes downstream. into the chute I’m sent. to ease claustrophobia doesn’t fool my mind. a preview of my own autopsy? A wet prick of dye announces Act II. An intercom voice asks are you all right? of me somewhere between alive and dead. Poet’s Notes: Perhaps because I lived in Japan for three years, I'm always interested in the dynamic of opposites in Eastern poetry. A brain MRI is a loud and tactile hour-long ordeal for the patient that results in a silent image that doctors can see and understand in seconds--and find beauty in it. I hoped to show the way our brains try to fill in for us when our senses are deprived or when we are deprived of information. 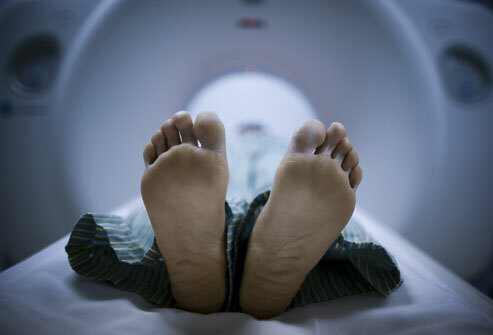 Editor’s Note: Backer has nicely poetically captured the experience many have during an MRI. The poetic conceit works well, and the stanza about the sheet is especially powerful.